Home Blockchain Bitcoin: Who Framed Satoshi? Blockchain is a groundbreaking technological concept, combining distributed ledger with an anonymity concept. It is going to do the same to trusted exchanges as internet has done to communication. All we hear is true, applications are numerous and the potential is greater we can even imagine. Bitcoin, while often times given as a major use case of Blockchain is just a first and ill designed proof of Blockchain’s concept. I do not believe technology is the right word to describe Bitcoin. Call it psychology, economy or finance – any discipline able to explain behavioral economics, market fluctuations and human greed will do. In several years Bitcoin will be seen as an anachronism which value comes solely from the fact it was the first in its kind. Didn’t help Lyft though. Didn’t help Blackberry and definitely not Kodak. 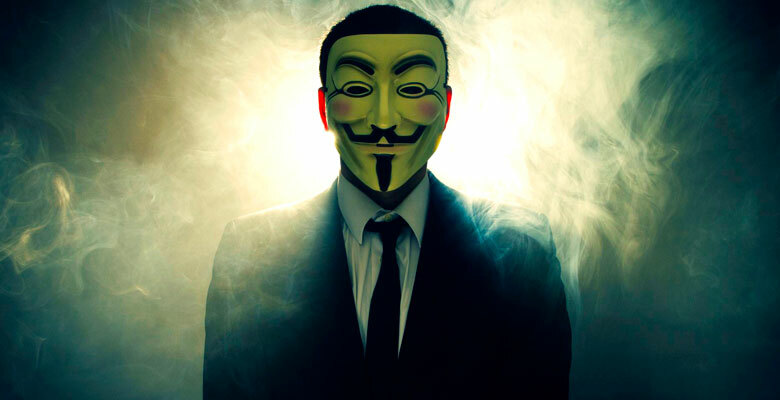 In 2010, or so it is claimed a character named Satoshi Nakamoto, came into being. Politically neutral, highly intellectual, reserved and alternative in culture – there could have been no better pick than a distanced and anonymous genius of a Japanese origin. Done. The character masterfully created and the bit jewel slowly developing in scale. Just as any other proof of concept, Bitcoin and Blockchain needed their time to gather momentum and adoption. No doubts, no questioning, no surprise. Just a meticulously thought out campaign. If you are like me and the majority of the Millennial generation, you want to tear apart the artificially created barriers and differences among people. As recent soaring interest in distributed ledger has shown, some Millenials also want to get free from the monopoly and control of the money printing machine. After all, who said that your dollars should cost this amount and my ruble so much less? Why do I need to depend on the currency fluctuations I have no control over? Why not create my own barter system which will accurately reflect the fruits of my work? Well, we were not creating a money alternative given that intellectual and organizational effort of doing so significantly outweighed the benefits of financial control we would receive in exchange. Not unless we had a fully working “app store” where we could plug in our desire for anarchy and create a product to our own liking. Exactly what is now happening with the proliferation of altcoins. Any farmer can start an ICO now! Truth is, the creation of such an ecosystem is more than an individual Japanese genius could have dreamt of, even if there has been a visionary who came up with an idea of a Blockchain technology. Who & Why Created Bitcoin? In an alternative view I am providing, Blockchain’s child (Bitcoin) and the like are very much the outcome of an extreme centralization which we are trying to distance ourselves from. Now, which facts support the possibility of Bitcoin being a brainchild of a centralized body (e.g. US Government)? In a perfect market economy there is a healthy competition and a relative independence of players. We see none of that happening around Bitcoin. How is the decentralized system happen to depend on a single asset, namely Bitcoin? It is worth checking out the graphs to realize virtually all altcoins behave in the same pattern as Bitcoin. Check ups and downs. They are the same. Why do you need to go through Bitcoin to buy virtually any other cryptocurrency? And why does a volatility in Bitcoin cascades to virtually each altcoin? What Is America’s Stance on Bitcoin? Check where the wind is blowing. See which countries are taking the stance and which are playing a poker game. Both South Korea and China started with the regulations to crack down the crypto trade. On the other hand, Slavic crypto enthusiasts Russia and Belarus are conjuring ways to shed off their financial issues with making crypto into a new national currency. And now check what the US is saying. Trump and the US government has a stand on climate change, Mexican immigrationand Chinese stealing American prosperity and jobs, but they fail to voice any opinion on the hottest topic of the year, cryptocurrency! Still when does Trump have no opinion on things? Still when the US is silent on the major “technological” breakthrough of the century? All we see are scattered comments and irrelevant opinions. An argument to prove the American interest in the “success” of the Bitcoin is the impact of cryptocurrencies craze on the value of dollar and American economy at large. Why wouldn’t Americans just print more dollars? Because it would create inflation and unemployment in your own country. Instead, it is much better to limit the dollars in speculation bounding them in a non-existent asset which can disappear with no single authority to blame it on. It is not a coincidence that so many primary buyers’ exchanges require your US bank account to register. This means you exchange your national currency to dollar and invest dollars in Crypto, which means you are paying Bitcoin creators in your national currency while hiking up dollar’s value at the same time. Just as Russia masterfully launches perimeter wars to distract its people’s attention from the internal economic disaster, so does America cramp any ecological arguments by pointing at the Chinese bitcoin mining industry. It’s not the US to blame, it’s the greedy Chinese, all while polluting the environment. Thanks to American journalism we now know that generating one bitcoin costs as much as powering 9 American households for a week. Who is generating Bitcoin then? Those are the people mining Bitcoin. China alone accounts for 58 percent of Bitcoin mining data centers, burning about 11 million tons of coal per year! As goes the Bitcoin price, so goes its electricity consumption, and therefore its overall carbon emissions. Any more talk on the Paris climate agreement? Any news on the US withdrawal from the agreement? This is history happening today. Bitcoin mining is the new evil! Attention diverted and scapegoats identified. I spent the hot summer of 2011 as an Assistant on the Hill. 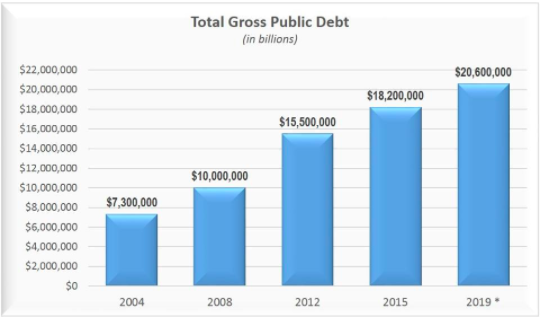 Having accumulated $14.3 trillion in national debt by the summer of 2011, the question of July 31st was whether USA should lift the debt ceiling or buckle up to start the repayment. 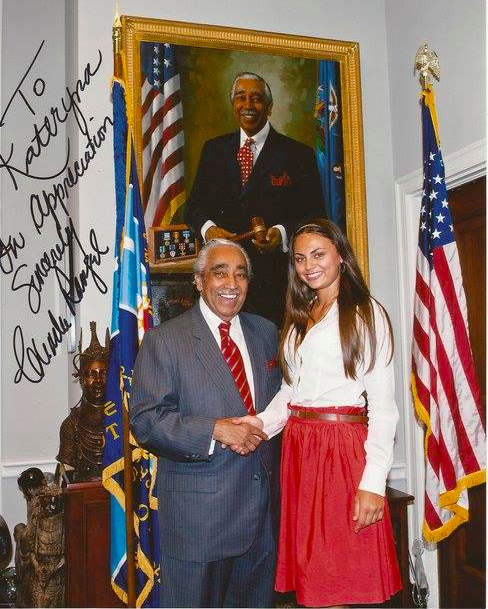 We were all cramped in the cozy and pompous congressional office of Rep. Charles Rangel, hoping for Obama’s decision to lift the ceiling. Having initiated and gone through the economic crisis of 2008, the United States had no plans of repeated austerity whatsoever. And the consumerism anxiety and FOMO you feel when first stepping out into the Newfound Land was as strong that summer as it is today. The ceiling was lifted and we all breathed lighter. Not that anyone explained to us why the US decided to keep accumulating more debt or why it can afford to keep what other countries have to give back. And I was as happy as all my fellow American friends working on the Hill to know that my America will stay as strong and as prosperous as I knew her. In any case, who would claim the money? The EU had too many internal struggles going on, such as the elections in Cataluna and Brexit later proved. Russia? God knows how much they own themselves! Plus, who would imagine Russia throwing a fist at the US? China? China, accounting for the biggest percentage of US foreign debt could have been the only possible claimer at the time. But why do that? USA was the single biggest Chinese importer, tugging slightly behind the 28 countries of the European Union! Chinese must be insane to claim capital which made the US even more eager provider of an operating income, fueling Chinese dragon. You can blame Americans for geographical ignorance, ego-centricity, unusual food and weapon regulations and ecological blindness, but you cannot blame them for economic shortsightedness and neglecting one’s own interests. Having in mind that no single power can effectively dominate the world the world economy without the ability to repay its debts, the United States had to come up with a creative way to reduce its debt sooner rather than later. Market economy, capitalism, and “democracy” have triumphed for a very simple reason: they tapped into the human nature of competitiveness, greed, and manipulation. All the leadership talk on scientific discovery, green economy and humanity’s well-being has dominated American demagogy for all the decades since the last bloodshed of WWII. There is, however, a much more pressing issue than the well-being of the world, – and it is personal well-being and financial interest. Whenever there is a chance to make a profit, “non-economic” arguments quickly go play second fiddle. The US couldn’t have come up with a better angle than persuading the world they are playing an anti-governmental and anti-centralization game. With the pretext of having an ideological stance, you can make money out of thin air. How brilliant is that! And while you are getting more excited with your bitcoin jumping in value, you do understand there is someone who is missing out on the game. But you accept the risk and you accept the game. And you pray there is going to be another bit of good news that sways the crypto market in a favorable direction. Not because you care about the Blockchain. Not because you care about the technology behind. You buy because you want the money and you accept the risk. 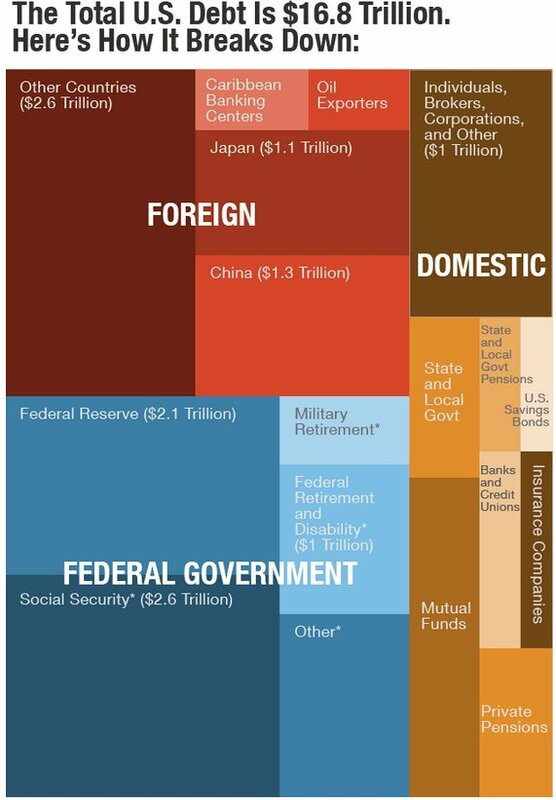 Bitcoin bubble will keep growing to account for at least the foreign part of the US debt, which is around $7 Trillion. Stay Calm, Buy Bitcoin and Keep Framing! Previous articleLife After Facebook: Will You Matter?